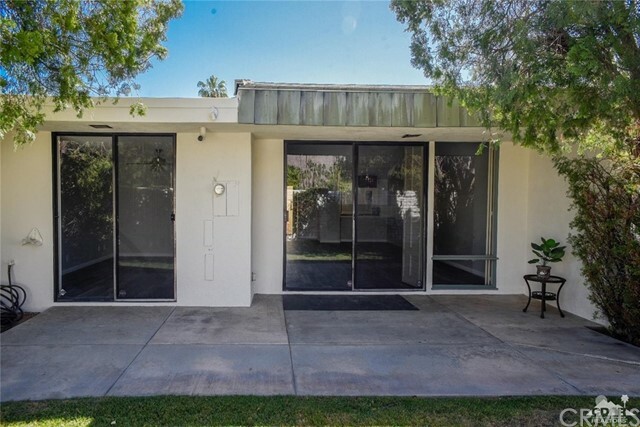 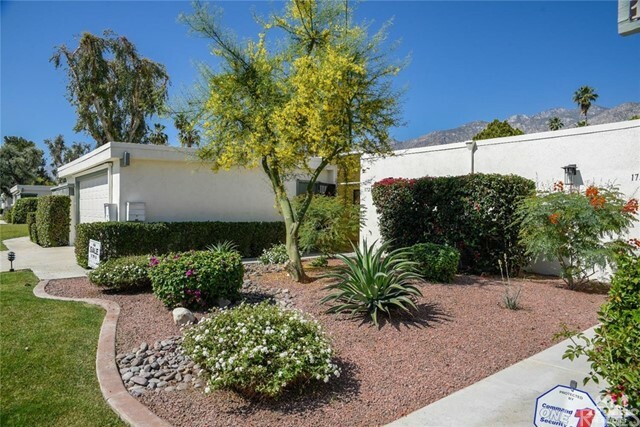 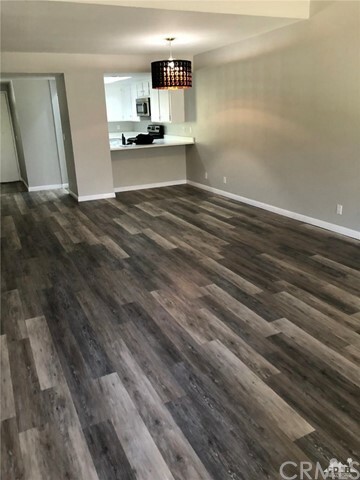 Located on fee simple land in South Palm Springs, this charming 2BDR/2BA condo in Sunrise Villas has been tastefully updated. 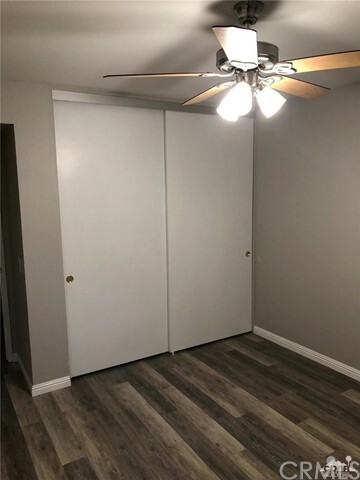 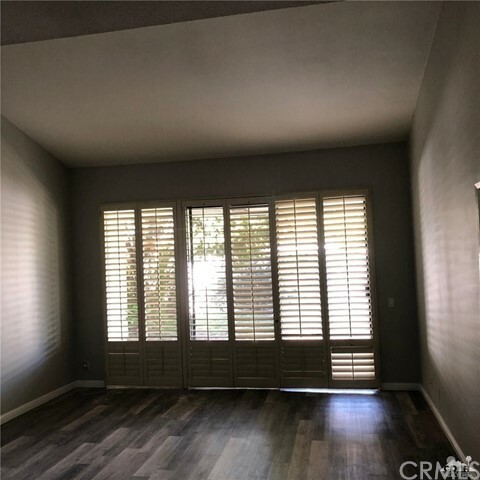 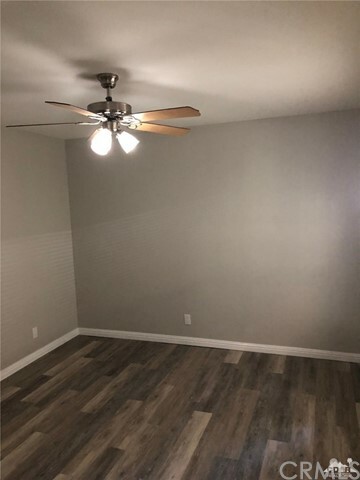 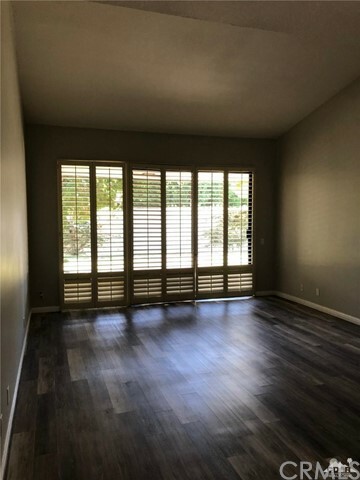 Plank flooring,custom plantation shutters and new paint scheme provide a perfect setting for your decorative touches. 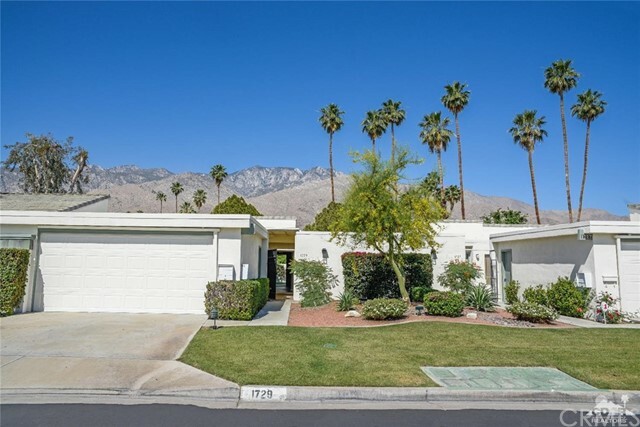 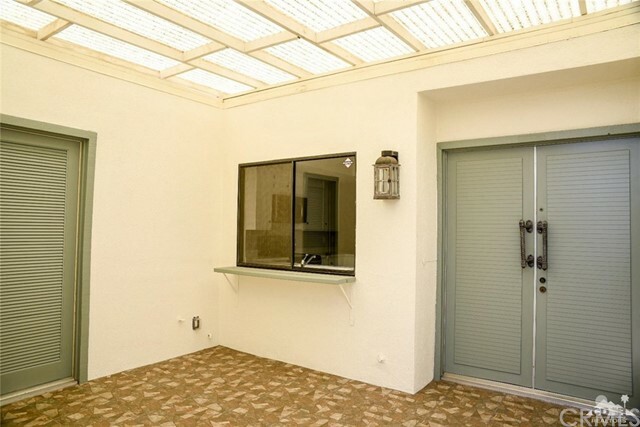 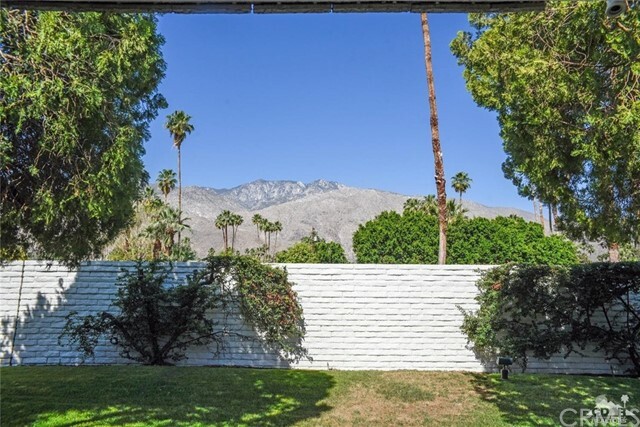 Vaulted ceiling in the living room leads to the patio with majestic views of San Jacinto, perfect for winding down from a day of enjoying the Palm Springs lifestyle. 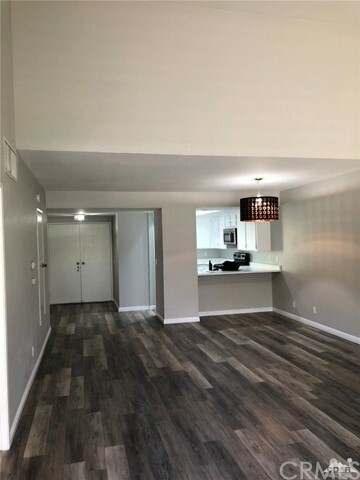 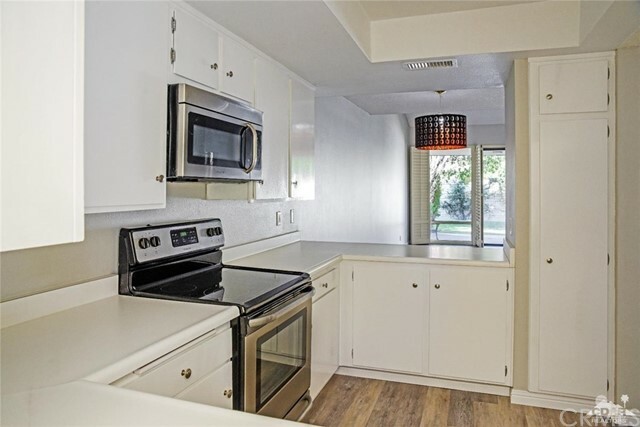 New stove , microwave,disposal,water heater and 4-ton American Standard HVAC system along with new recessed lighting in kitchen and baths and updated electric throughout. 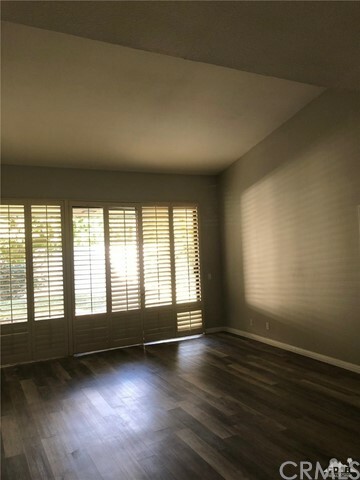 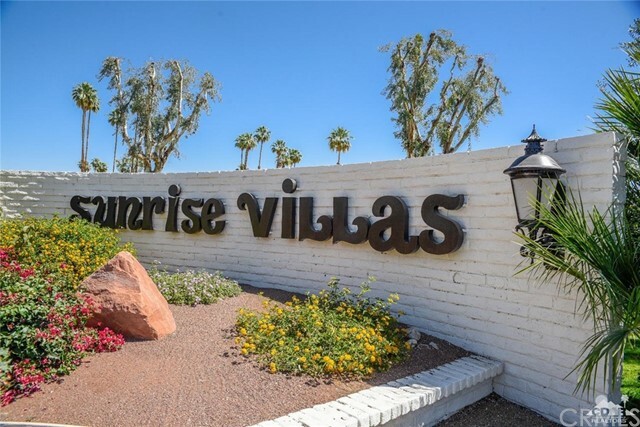 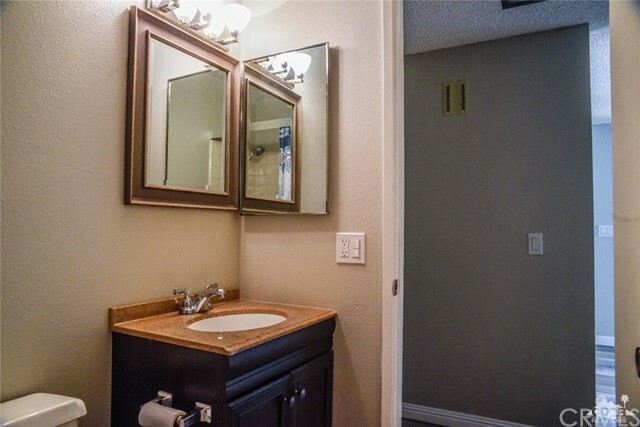 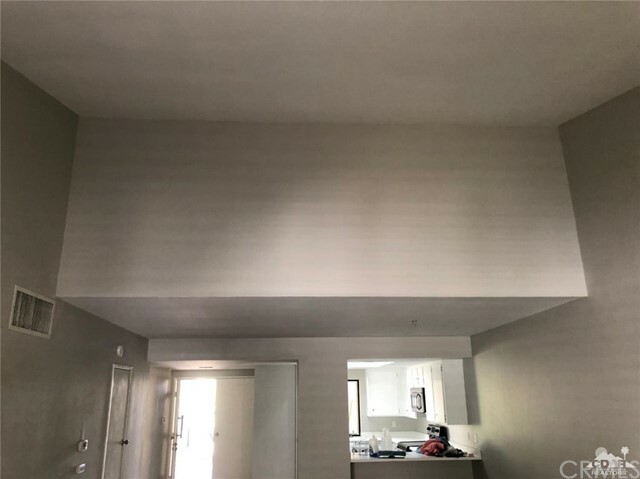 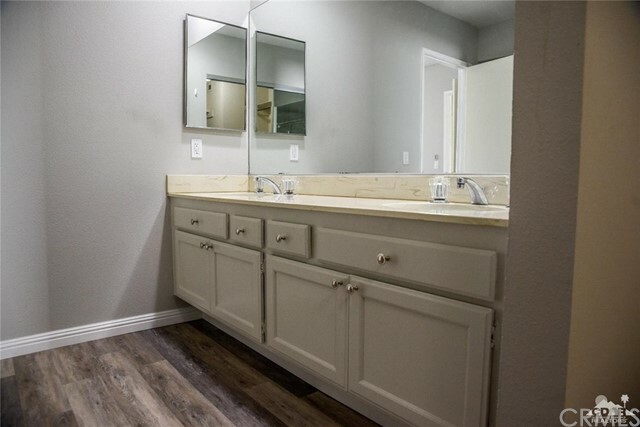 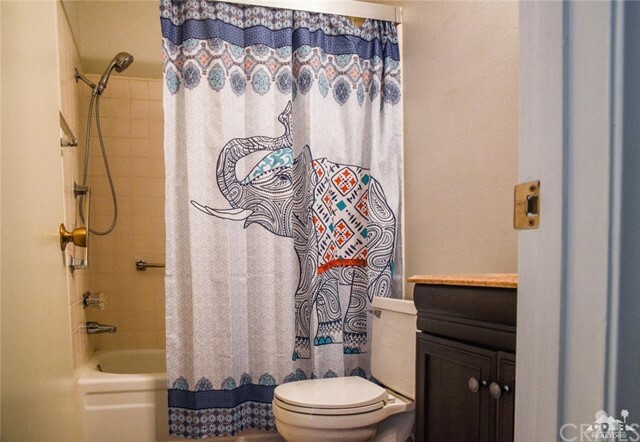 Close to Smoke Tree Plaza,The Suguaro and the library this lovely, move in ready, condo is perfect for full time, seasonal or weekend getaways! 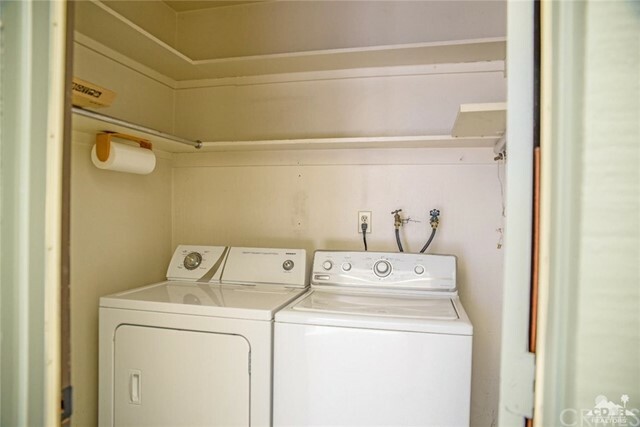 FHA and VA approved development.